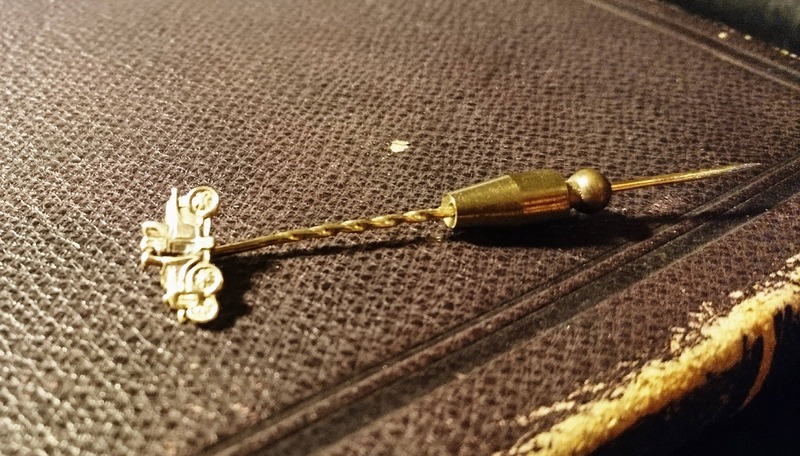 A lovely vintage 20's 9ct gold stick pin with an old classic car finial and twist spike with a twist fastening. 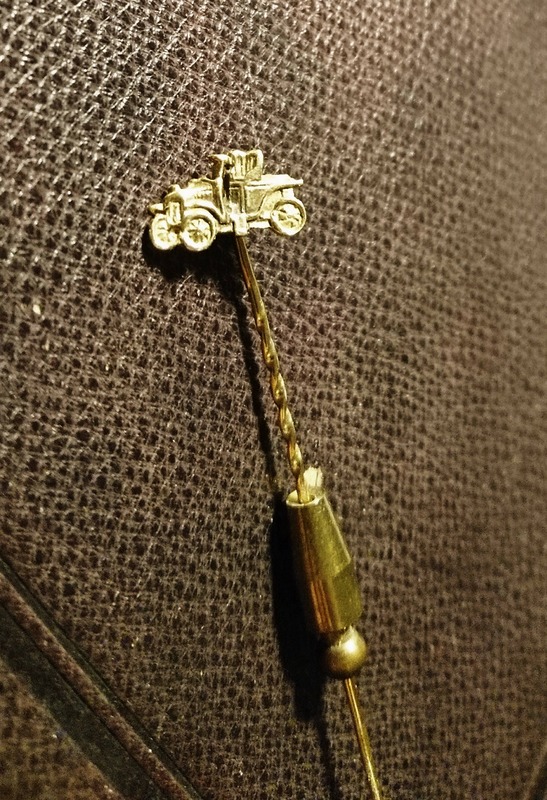 The entire pin and car are crafted from 9ct / 9kt yellow gold, the fastener is a twist type fastener that twists up or down the pin as desired. 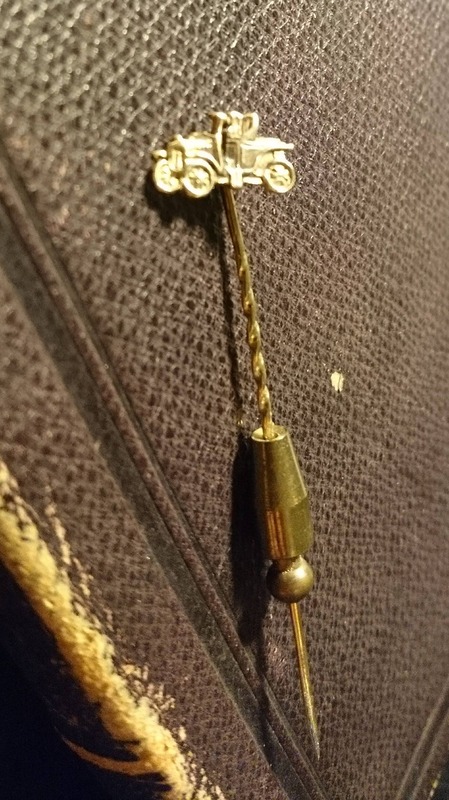 It is unmarked but acid tests as 9ct gold, it is in very good vintage condition. 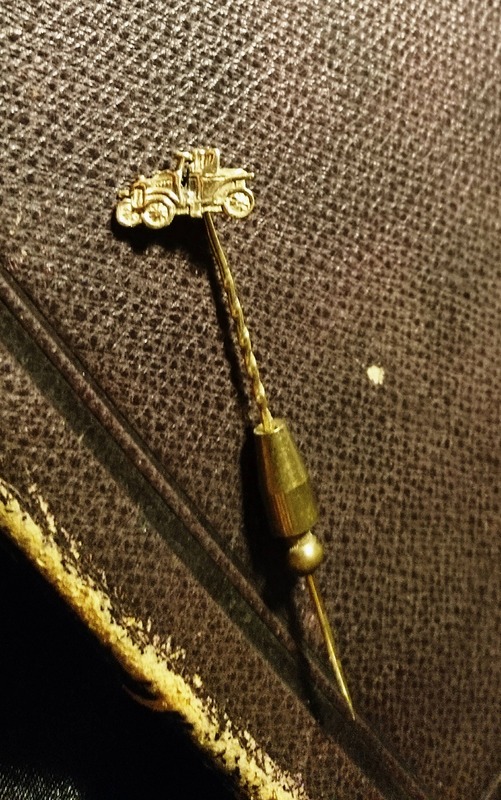 Would make a beautiful gift,perfect for the vintage car enthusiast. 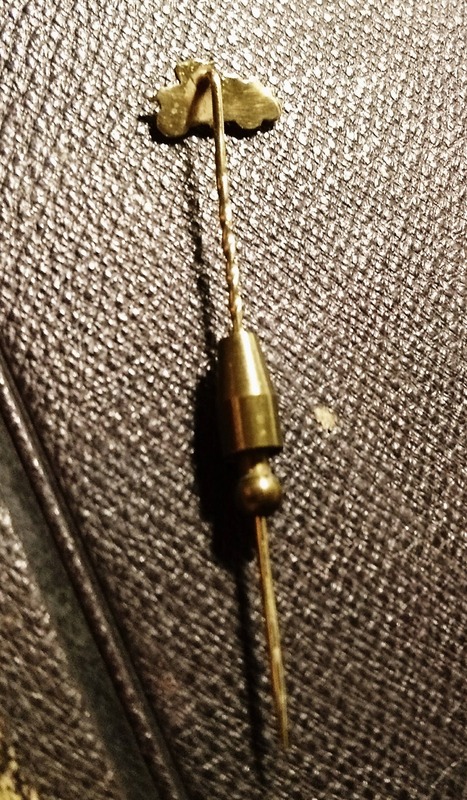 Approx 0.5" car width and 2.2" total length.